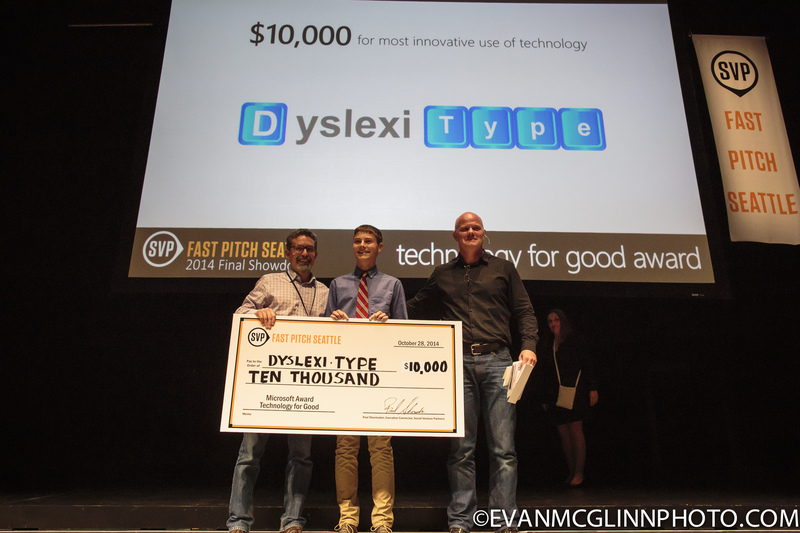 Eli W. and Xander F.’s learn-to-type software for students with dyslexia took home the “Most Innovative Use of Technology” prize at the SVP Fast Pitch social innovation contest in Seattle this week, as well as first place for high schools overall. Next they will turn their prototype into a product and get more feedback from students who have dyslexia. “We’re excited to use our prize money to make this into a free product,” said Eli.